Water is a powerful force in our lives. It keeps us alive and makes us feel refreshed. But at the same time, it can be the cause of illness and hazardous living situations. Getting sick from something water-borne isn’t ideal when it comes to your utilities. You and your Michigan household deserve to live in a home where you can trust what’s in the water and use it as you wish. Switching to a personal water well and hiring a Dryden well drilling company is a great way to ensure the cleanliness of your water. To help make sure your household stays healthy, here are three ways to tell if your water is clean. 1. Bacterial Test – Are Your Faucets Clean? Do you ever pay attention to the quality of your faucets? If there is any rust, discoloration, lime, or other degradation, you need to make sure the issues are taken care of and that they haven’t caused any serious problems. One way to check is by putting tap water through a bacterial test. If the results show the water is high in bacteria, that means you and your family are at risk of illness. You can put a water filter on your faucet to help, but the best way to stop you and your family from ingesting poor quality water is to control the source. Any home can switch to a personal water well and get their water from somewhere safe and reliable. 2. Chemical Test – What is or isn’t Safe? There are various chemicals in water and none of which can be seen by the naked eye. That’s why Dryden well drilling companies conduct chemical tests on new and old water wells to confirm the water’s safety. For example, checking the acidity of the water or making sure chlorine, fluoride, nitrates, and pesticides aren’t drifting around in the water is important. There can even be hormones or leftover materials of certain metals. 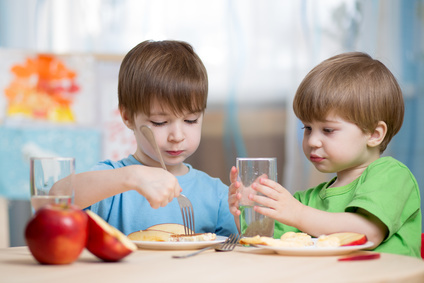 While chemicals like chlorine and fluoride aren’t terribly unsafe to ingest, according to current research, being safe is always better than being sorry. And a good water filter will help in keeping you safe. Have you ever had the feeling of tasting water that is different than what you’re used to? That has to do with the minerals floating around in it. There are two types of waters in this industry: “soft water” and “hard water.” Water is “hard” when there are many types of materials, such as metals, within it. It causes the water to taste like metal and can even change the water’s color. Iron is the number one culprit for this, but copper is up there as well. Materials like lead or mercury shouldn’t be in your water, but they end up slipping in there sometimes. A personal water well with a dependable filter can spare your family from these harmful materials. 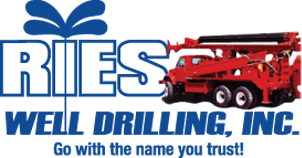 If you are looking for a Dryden well drilling company so you can start drinking safe, clean water without worry, contact Ries Well Drilling Inc., today. We are located in Washington Twp., and offer well drilling services throughout Macomb, St. Clair, Oakland, and Lapeer Counties.